Guest post by Leslie Deak, a friend of mine from Duke, who mixes metaphors and mojitos (not necessarily in that order) and whose enthusiasm for a good cocktail is rivaled only by a well-executed pick-and-roll. M. and I end up at a bar called Cheap, which is anything but. [Ed. Note: Most blargh bar name since Bar Le Scoop.] We share a pitcher of sangria, then move on to fancypants cocktails, each of which prove disappointing. They were either too weak or not well-mixed, such that one flavor overpowered all the others. At that point, we were joined by a third, S., who is not a drinker, and started ordering froufy drinks, including the Orange Creamsicle. Once M. ordered it and I tasted it, I knew S. would be on board since the sweetness masked the booze. She doesn't like to taste the alcohol. I just kept ordering more rounds. In walks a very tall, muscular, athletic gentleman. Being a basketball fan, I figure he must be a player. I walk up, introduce myself as a fan of the game, and ask where he plays. I ask for a pic, and he says he'll oblige for a piece of our pizza. Realizing he could squash any one of us in one fell swoop, we agree. 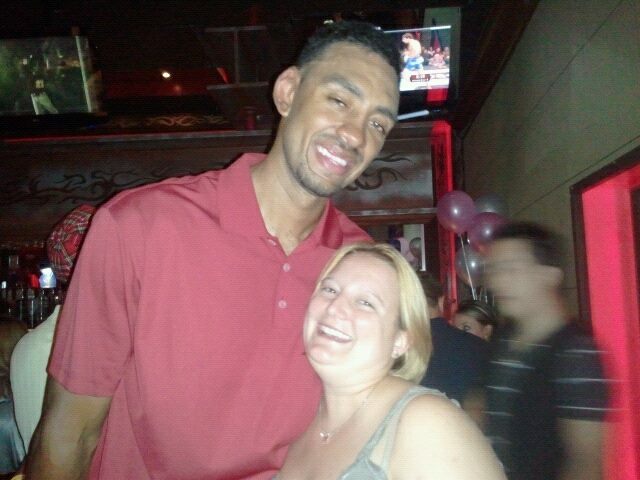 With that, NBA journeyman Jared Jeffries fades off into the distance. Good thing we did our part to feed him. Who knows how long this lockout will last? Combine all ingredients into shaker and shake well, decanting into martini glass. Optional mint sprig garnish. - Add an ounce of tequila to the shaker. - Coat the glass with a rinse of white creme de menthe or ouzo before decanting shaker's contents into it. 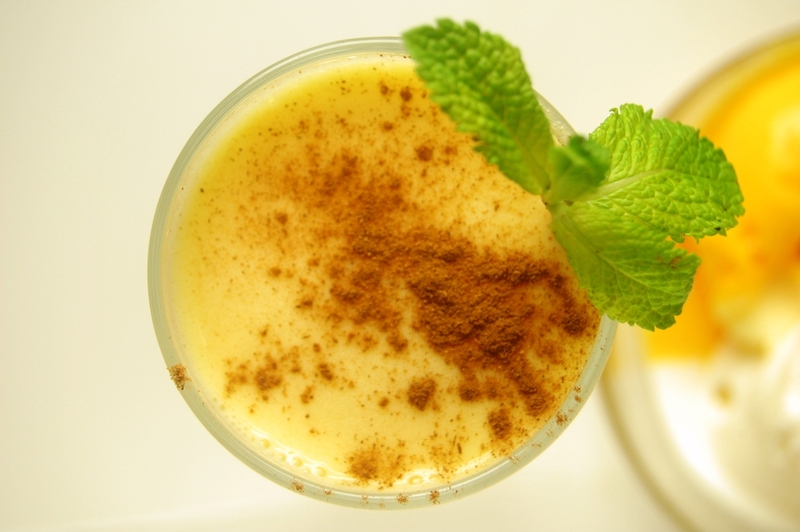 - Garnish with cinnamon on top. I had no idea how I was going to wrap up Alexander Week. 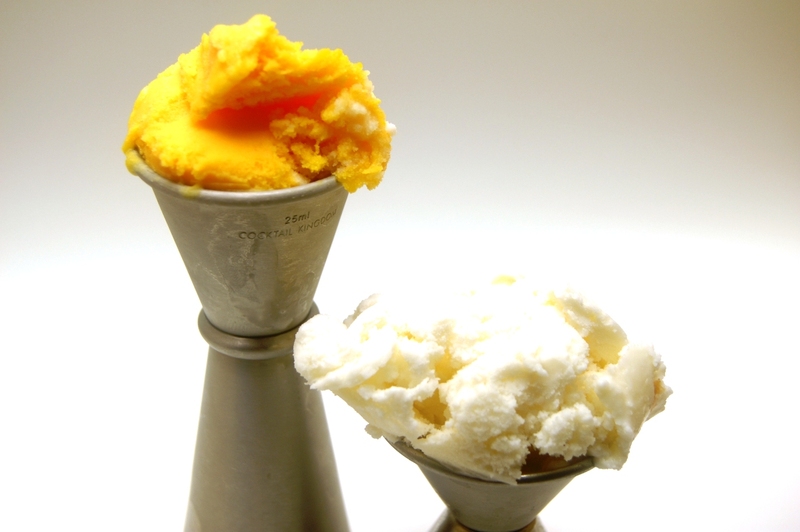 Any sort of liqueur-based Alexander seemed too obvious/easy, the thought of a Rum Alexander held no appeal (maybe if I used a sorbet instead of an ice cream/gelato? 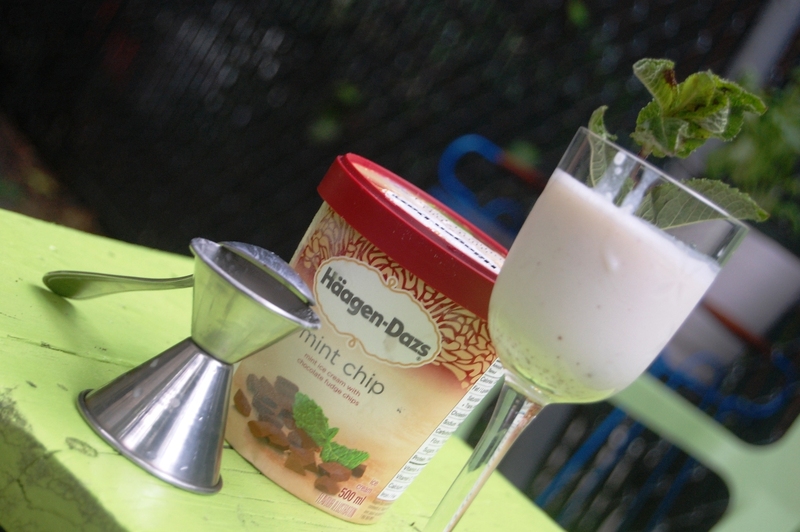 But still, meh) and a Vodka Alexander -- well, I'd actually made one of those a few weeks ago, using an unflavored vodka and the exact-same recipe as I did for the gin Alexander (with the white creme de cacao and the mint chip gelato). It tasted OK, not at all bad, but from a mixology standpoint I was uninspired by it. 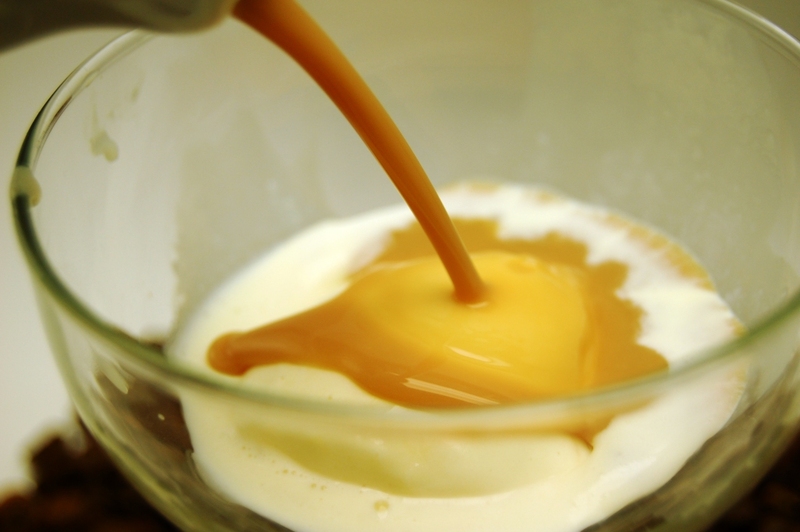 Then I remembered the espresso-infused vodka we'd made a while back, and then I thought about affogato. 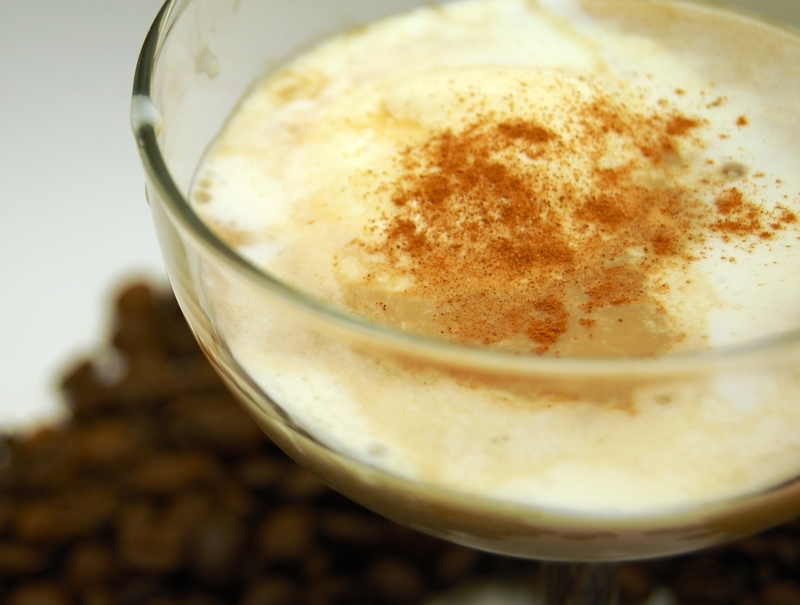 So with my espresso-infused vodka and some easily-whipped-up vanilla ice cream, all I needed was to break out the dark creme de cacao and a shaker of cinnamon and I was ready to go. In keeping with the traditional style of affogato-making, I placed my scoop of ice cream in the glass first, then poured my alcoholic mixture on top -- but since this needed to err on the side of drinkable rather than spoonable, I kept my scoop quite small. On my first attempt, I actually poured just a vodka-creme de cacao mixture over the ice cream, only to find that they didn't gel well at all; splotches of cream started coagulating and floating on the surface of the liquor quite unappealingly. So I went back to how I'd been making Alexanders all week, pre-mixing a little ice cream into the liquid mixture, and all was right with the world again. 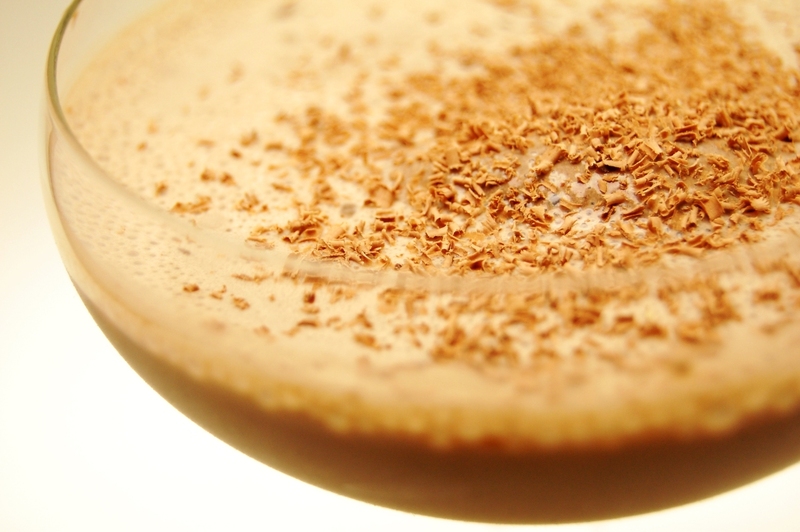 Pour vodka and creme de cacao into an ice-filled cocktail shaker. Add about an ounce of ice cream. Shake until ice cream is melted. Scoop another ounce or so of vanilla ice cream into a chilled cocktail glass. Strain contents of shaker over ice cream. Sprinkle with cinnamon to garnish. 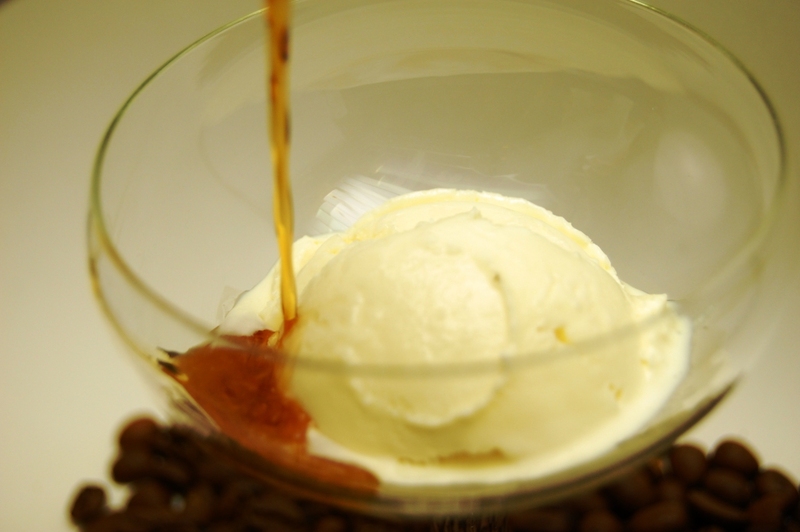 If you've got an ice cream maker at home, here's the easiest recipe ever for a really good vanilla ice cream that I've used several times: Dump a can of condensed milk, a cup of regular milk and a tablespoon of vanilla extract into ice cream maker. Turn on ice cream maker. You don't even have to mix the ingredients together beforehand if you don't want to. Upholding my week-long commitment to exploring the far reaches of Alexandria, today I find myself a bit of a stranger in a strange land -- that land being Tequilaville. I have never cottoned to tequila, and I’ve never felt like I’ve missed out on much as a consequence, except perhaps further burdening my trove of already-embarrassing-enough drunken tales/tally of inexplicable scars (two; one just south of my lower lip, the other craggy across the top of one foot). If bourbon tastes like adult fun, then tequila tastes like legal troubles. It’s antagonistic-tasting. It’s too in-my-face, and even when I’m doing nothing more innocent than enjoying a margarita, I often believe that tequila’s devilish essence is asseverating itself from beneath its blanket of lime, sugar and salt, rather than just commingling nicey-nice in the glass like a base liquor is supposed to. 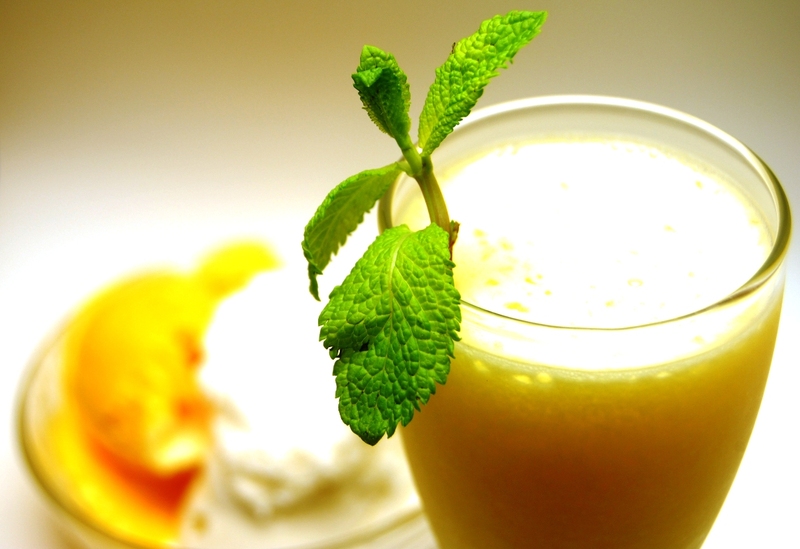 But when I started thinking about how to retrofit the basic Alexander recipe (liquor, creme de cacao, cream) around tequila, a few choices became clear. One was that the creme de cacao should be swapped out for Patron XO Cafe. A “coffee liqueur made with tequila,” as it’s described on the bottle (“Coffee Patron,” as I often call it), it was a big hit at The Royale when I worked there -- as a shot, a sipper or as one half of an admittedly puerile shooter I devised one night with a jovial, half-sauced regular that we dubbed the Irish Taco: Patron XO and Bailey’s. Since then, I’ve insisted of having it as a member of the at-home bar and have aimed to devise more subtle and clever uses for it. A recurring challenge with Patron XO is that it’s quite syrupy in texture and trenchant in taste -- it's got an appealing warmth and a nice linger as a standalone digestif, but can be tricky for mixing -- so for this cocktail I reduced my Alexanders’ usual creme de cacao measurement by a quarter-ounce. The next part of the equation was to decide upon a cream variation, for which nothing sounded as right as chocolate. Actually, since chocolate is a taste I usually don’t enjoy in an alcoholic context, I had a hunch this would be a case of two wrongs making a right. Tequila and chocolate are geographically/agriculturally simpatico, and both revel in an added kick of heat. Upon that realization, the rest of the recipe fell together in an instant. We had the bitters just sitting there on the shelf (hello -- Aztec!) and the dark chocolate-chili bar was a Christmas gift from Sean’s Aunt Meggie, who had actually given it to me as an in-joke, based on a Facebook comment she’d left me suggesting a spicy grace note for a previously blogged-about cocktail. Grate chocolate bar (with Microplane?) until you've got just a pinch or two of shavings. Mix shavings with a few shakes of cayenne pepper to taste. Set aside. Combine Sauza, Patron XO, Grand Marnier and bitters in an ice-filled cocktail shaker. Add 1 1/4 ounces of chocolate ice cream. Cap and shake vigorously until ice cream has melted. Strain into chilled cocktail glass. Add a small float of chocolate ice cream. Garnish with chocolate-cayenne mix. *OK, about the Baskin-Robbins: Me battling a recent cold + needing but a couple small scoops of ice cream + Sean getting a Dunkin' Donuts gift card for Xmas + a Baskin-Robbins located inside the Dunkin' Donuts that's located three doors down from our apartment building = yes, I used Baskin Robbins chocolate ice cream. (How's that for honesty?) However, I am a HUGE advocate for homemade ice cream. 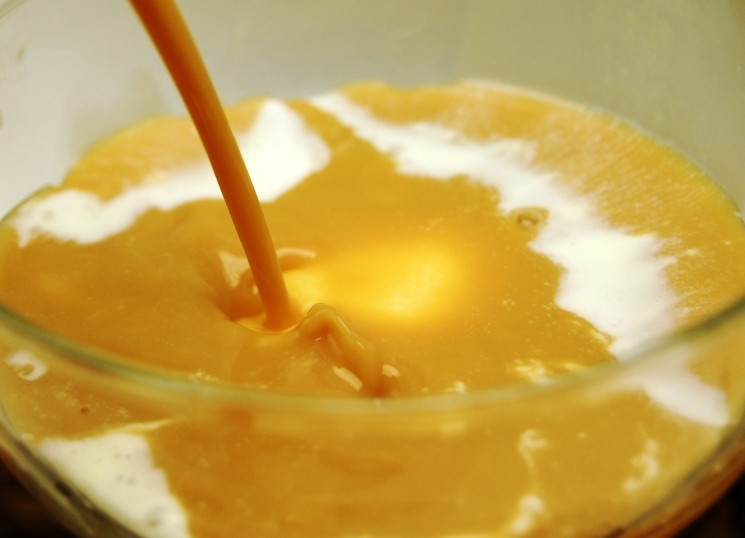 Even when I cheat (which is all the time) by using evaporated or condensed milk or by using raw eggs without cooking the mixture first, it's 1000 times better than store-bought. The Sauza Anejo Conmemorativo is one of two tequilas we have in the house, the other being a blanco. This Sauza is aged in used bourbon barrels, so I think we lucked out as far as using a tequila with choco-friendly notes. Now that we’re three drinks in to Alexander Week, let’s walk it back to the beginning. As I seem to be taking up the mantle of historical cocktail dork expert at the blog, I will be leading the tour. Did you know that, while the Brandy Alexander is the only Alexander that really remains in the everyday-drinking lexicon, the original Alexander was made with gin? No really, I swear. 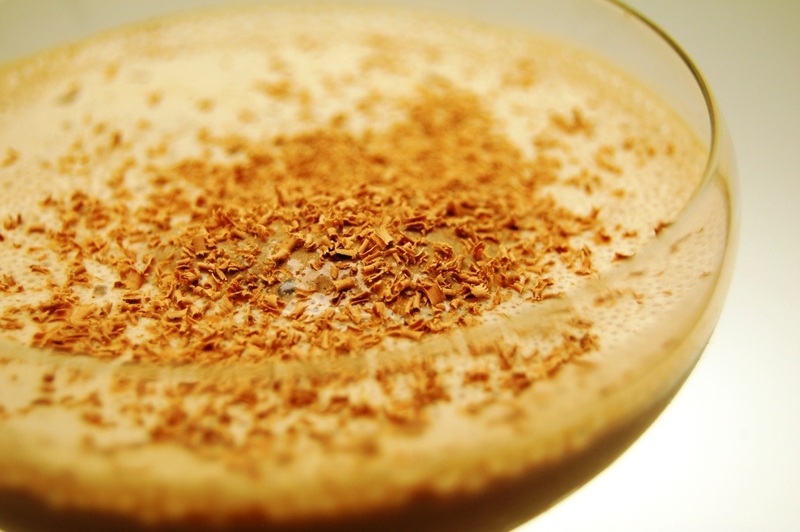 The Brandy Alexander took the drinking world by storm after its introduction as the signature cocktail at the wedding of some English royal ugly dudes in 1922, but it was the gin version that came first. As with all things cocktail, the specific origins of the original Alexander are shrouded in myth, misinformation, and mystery. The Alexander was first documented in Recipes for Mixed Drinks by Hugo Ensslin, most likely published in 1916. (Some references out on the interwebs point to either a 1915 or 1917 publication date, but the seemingly more reliable references point to 1916.) Cocktail Kingdom claims that the Ensslin tome was the last New York cocktail guide published before the implementation of prohibition; I am assuming that they must be referring to the second edition. We couldn’t have done Alexander Week without the original, but I have to admit, my first thought was, “Gin and chocolate, really?” The original recipe -- equal parts gin, crème de cacao and sweet cream -- just didn’t sound like something I would want to drink (and I’ll drink just about anything). 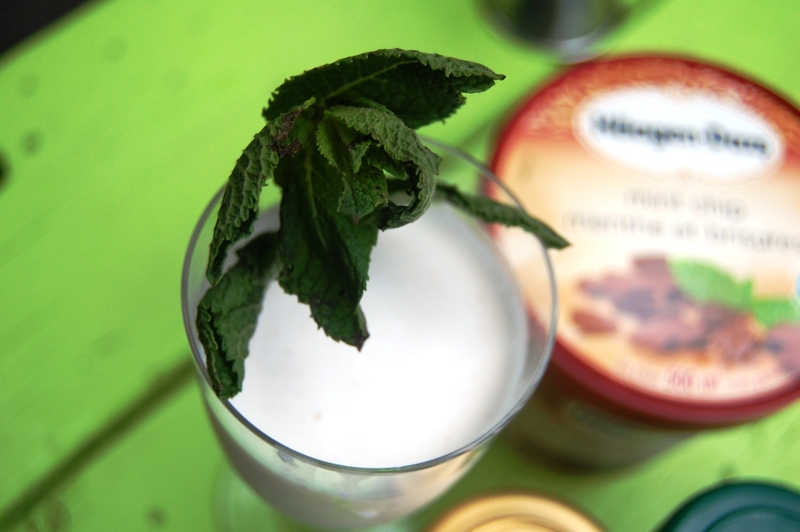 Keeping with our ice cream theme we quickly settled on mint chocolate chip as our swap-out for the sweet cream and the perfect bridge between herbaceous gin and crème de cacao. 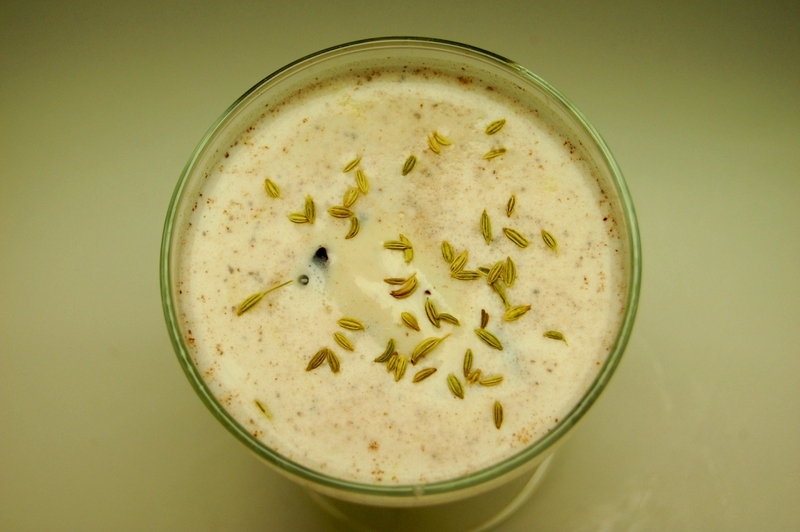 The fennel seeds were a last minute stroke of genius from Rose. 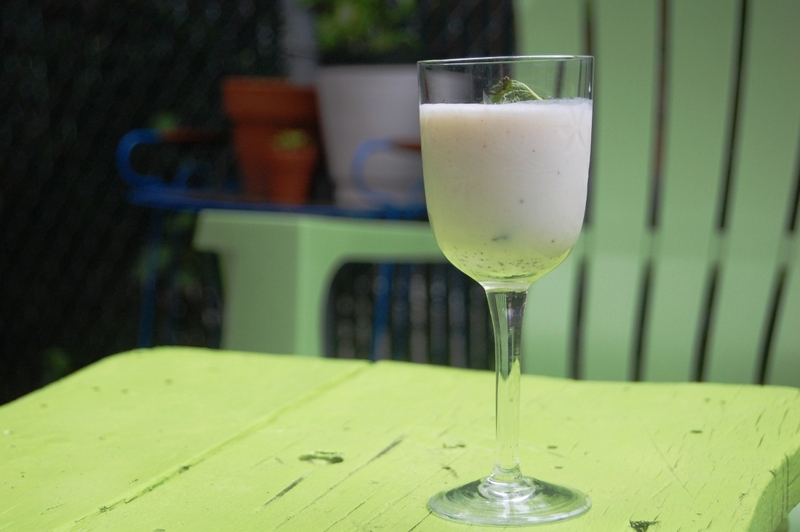 Pour gin and creme de cacao into an ice-filled cocktail shaker. Add the 3/4 ounces of gelato. Cap and shake vigorously. Strain into cocktail glass. 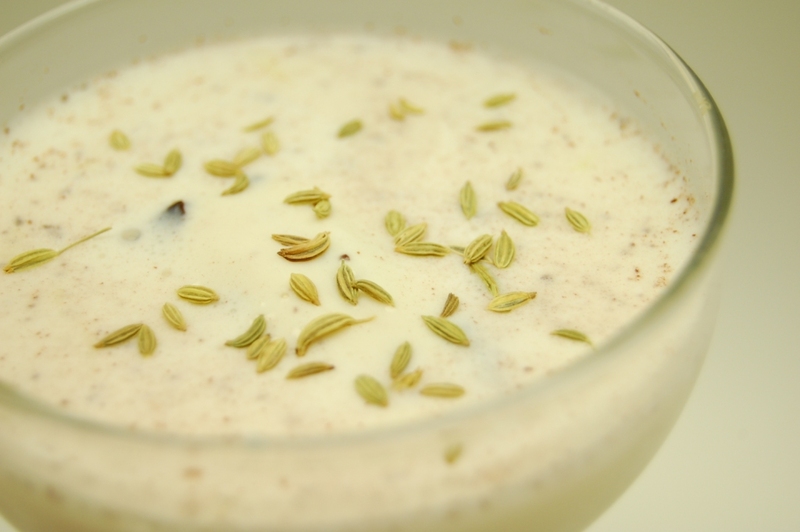 Add a tablespoonish-sized float of extra gelato and sprinkle with fennel seeds. Despite our initial trepidation this turned out fantastic. Hendrick’s, again, proved to be the perfect gin for the occasion. I’m starting to think there is nothing it can’t do.